One doesn’t need a crystal ball to understand that soldiers of the twenty-first century and beyond will be faced with an increasing complex battlefield that will probably not be comparable to the battlefields of the twentieth century and those before. This increasing complexity with regard to technology, use of robotics, and unmanned weapon systems on the one side, will, as is already the case, be challenged by low tech but highly effective and disruptive reactions to these high tech endeavours on the other side. Cyber warfare, regular and irregular warfare and symmetric and asymmetric warfare all belong to the possibilities of future conflicts. However, whether the fighting on these battlefields will be partly or fully computerised, or partly or fully physical, morality will as always play a crucial role. Yet, this is not as self-evident as it may seem. Notably, amongst the people who have questioned the relevance of ethics for military operations of the twenty-first century and beyond, British Defence Minister John Reid and American Secretary of Defence Donald Rumsfeld are the most notorious. Reid (2006) stated that we need to re-examine twenty century conventions if we do not wish to fight future conflicts with outdated rules and Rumsfeld (2002) maintained that the Geneva Conventions are obsolete and quaint. The suggestion seems to be to throw humanitarian rules -and with it morality- overboard and in doing so, take off the straight jacket of political correctness, which seems to have been far too tight anyway. As I already stated above, I believe that morality will play a role on the battlefields of the future, for the simple reason that it always has, since most people are moral agents. However, that is not to say that the morality of these agents will not be challenged; notably moral agency can be ‘turned off’ as Bandura has convincingly illustrated in his analyses of the disruptive forms of moral disengagement that either disregard the other, or dehumanise the other or deny responsibility for the other. Thus, what is needed is moral engagement, or what I like to call, moral professionalism (2010), which is based on the ability to critically think about the situations one is confronted with. This also seems to be the admonition in Cooker’s (2008) book Ethics and War in the 21st Century. Cooker contends that we have rules because we are sensible; laws are experience based. “Where law counsels us not to transgress, wisdom tells us that we are at risk if we do,” (o.c.p.29). According to Cooker a soldiers’ honour, which is also rule and morality based, is likely to keep him in check; to save him from himself and ensure that he is not robbed of his humanity. A similar point is made by French in her book The Code of the warrior. One could add that ‘honour’ implies the question that I will discuss in section 4 of this article: ‘what kind of human being do I want to be’, ‘how humane do I wish to be and stay’. As Cooker rightly maintains, our ethical codes stem from the inter-subjective relationship we have with other people; respect derives from our common humanity (o.c.p.126). Yet, as already indicated above, this common humanity can be challenged and subsequently denied, which may result in dehumanisation of the other and consequently in dehumanisation of oneself. Cooker discusses three writers who warn us that the greatest threats in this respect come from ourselves. The first author is Homer who tells us what happens when we succumb to ‘force’. The second is Thucydides who tells us what happens when we succumb to hubris. Pride, competition and fear are Thucydides’ three causes of war, of which the last one –fear– generates cruelty (“cruelty is the child of fear”, o.c.p.170). The third writer is Euripides, who tells us what happens when we act in such a destructive way that the defeated will inevitably seek revenge. With reference to Simone Weil, Cooker points out that the man who possesses force and is possessed by it -as illustrated by Homer- knows no pause between impulse and the act, or ‘the tiny interval that is reflection’ (o.c.p.159). Weil warned that where there is no room for reflection, there is no room for justice or prudence. A similar warning is present in the work of Hannah Arendt. These classical insights resonate with the statement made above about the necessity of moral engagement, or moral professionalism, which, as also indicated above, is based on the ability to critically think about the situations one is confronted with. ‘Critical’ is used here in the sense of the Greek word ‘krinein’ which means ‘to distinguish’ or ‘to judge’. This article aims to narrative ethics with regard to critical thinking, and underlining the contribution it offers to both the dialogue with ‘the other’ and with ‘the self’. Both forms of dialogue are essential with regard to critical thinking. A lot of research has been done on the dialogue with ‘the other’, yet, I hope to show, with reference to the German philosopher Hannah Arendt, that the dialogue with ‘the self’ is just as vital, as it is a precondition for learning how to think and how to judge. The significance of narrative ethics, both forms of dialogue, and subsequently the importance of learning how to think and judge will be illustrated by discussing Joseph Conrad’s Heart of Darkness and the movie based on this novel Apocalypse Now, directed by Francis Ford Coppola. As in many academic fields, in ethics too the significance of narrativity is emphasised, for it plays a crucial role in the construction of the moral subject. The reason for this is that moral principles are best understood by story-telling, whereas without a meaningful context moral concepts often remain quite abstract. What is important about literary texts is that they not only appeal to our imagination but also to our emotions, and thus, our empathy, all of which are important when moral judgment is concerned. In her book Love’s Knowledge (1990) the American philosopher and classicist Nussbaum claims that the aptitude to make a proper moral judgment can be stimulated by literature, which doesn’t necessarily mean that all literature is appropriate. First, it needs to be established whether a specific text is suitable to contribute to, or provide insight into, moral skills. In this context ethics implies the analysis and explanation of a moral experience, which presents itself in a story. As such ethics can be regarded as the hermeneutics of moral experience, which is underpinned by the writings of Dutch philosopher, Paul van Tongeren. The dialogue we have with a story, what actually happens when we read, teaches us something about ourselves and the people around us. However, even though this dialogue does not necessarily teach us the relation between morality and emotions and how to deal with them, it may show us what to consider important and why. Nussbaum claims that the process of reading literature may be seen as training in moral skills (Nussbaum 1998, 214). As indicated above, I would like to illustrate the significance of narrative ethics and both forms of dialogue (the dialogue with the other and the one with the self) as well the ability to think and judge, by discussing the novel Heart of Darkness and the film Apocalypse Now. I had to deal with a being to whom I could not appeal in the name of anything high or low (…). There was nothing either above or below him, and I knew it. He had kicked himself loose of the earth (…). And I wasn’t arguing with a lunatic either. Believe me or not, his intelligence was perfectly clear – concentrated. It is true, upon himself with horrible intensity, yet clear (…). But his soul was mad. Being alone in the wilderness, it had looked within itself, and, by heavens! I tell you, it had gone mad (…). I saw the inconceivable mystery of a soul that knew no restraint, no faith, and no fear, yet struggling blindly with itself (Conrad  1995, p.107-108). Full of admiration Marlow describes Kurtz’s eloquence, but he also claims that this eloquence veils “the barren darkness of his heart” (o.c.p.109). But the wilderness had found him out early, and had taken on him a terrible vengeance for the fantastic invasion. I think it had whispered to him things about himself, which he did not know, things of which he had no conception till he took counsel with this great solitude—and the whisper had proved irresistibly fascinating. It echoed loudly within him because he was hollow at the core (o.c.p.95). I saw on that ivory face the expression of sombre pride, of ruthless power, of craven terror—of an intense and hopeless despair. Did he live his life again in every detail of desire, temptation, and surrender during that supreme moment of complete knowledge? He cried in a whisper at some image, at some vision—he cried out twice, a cry that was no more than a breath: ‘The horror! The horror! (o.c.p.112). Marlow takes it that with these words Kurtz is passing judgment on his own activities. “He had summed up—he had judged. ‘The horror!’” (o.c.p.113) “was an affirmation, a moral victory paid for by innumerable defeats, by abominable terrors, by abominable satisfactions” (o.c.p.114). Discussing this particular passage the literary critic Cedric Watts agrees that Kurtz is judging his own activities, but at the same time Watts believes that this judgment is ambiguous; Kurtz not only judges his activities but also acknowledges a temptation. It is this combination of desire and hate that is important, according to Watts (o.c. p.138). It is the temptation to disengage morally. The social psychologist Bandura (1999) has pointed out that moral disengagement comes in different shapes. We might add that it may, often in hindsight, lead to feelings of guilt or shame, but can at the same time lead to gratification or even satisfaction, as is made clear by Conrad in the passage above from his novel Heart of Darkness. 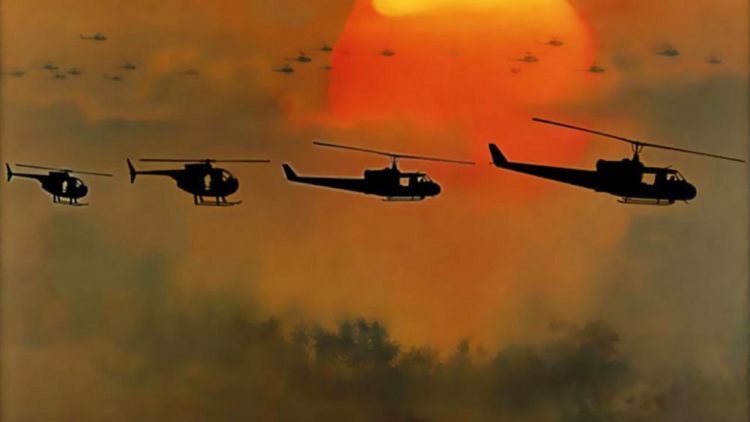 In the film Apocalypse Now, based on Conrad’s novel and quite possibly known to an even wider audience, another important aspect of moral disengagement is supplemented. This highly acclaimed 1979 film by Francis Ford Coppola, seen by many as the archetypical war movie, has given rise to many debates. In contrast to the novel set in the African jungle, the plot in this motion picture is set on the border of Vietnam and Cambodia. It equally concerns a quest, in this case Captain Willard’s for Colonel Kurtz. Just like Kurtz in Conrad’s novel, Colonel Kurtz is much appreciated; he is a former member of the Special Forces and highly regarded by his superiors, who see him as one of the best officers in the Corps and praise him for his moral character. However, almost identical to Kurtz in Conrad’s book, Colonel Kurtz, once all alone in the depths of the wilderness of Vietnam both figuratively and literally creates his personal kingdom in which the only law is Kurtz’ law. As a consequence, all natives are subjected to Kurtz’ arbitrariness, in which the moral dimension has been turned 180 degrees; in other words, a world in which good and evil have taken completely different shapes. In the movie, the general that assigns Captain Willard to find Colonel Kurtz puts it as follows: “This war confuses things, ideals, morality, military necessity” and talking about Kurtz he adds “the temptation must be big to be God out there among the natives. In every human heart there is a battle going on; a battle between rationality and irrationality, between good and evil.” Be that as it may, Willard is assigned to track down and kill Kurtz who has gone completely mad and has killed four double agents. On his way down the river Willard reads Kurtz’ file, handed to him by the general; he reads about Kurtz’ impressive career and also sets eyes on an article Colonel Kurtz wrote in which he discusses the lack of discipline and morale among the American troops. It can be mentioned in passing that the lack of discipline and morale was no fiction, but has been confirmed by research (cf. Gabriel and Savage, 1978). Arriving in Kurtz’ territory, Captain Willard is confronted with corpses and chopped off heads everywhere, similar to Marlow’s experience in Heart of Darkness. This is by no means the only reference to the book in the movie. There are many of such clues, one of them being the description of Kurtz’ lucid yet disturbed soul by Captain Willard: “I have never seen such a tormented and torn person (…). He broke with his family and with himself”. In one of the core scenes in the movie Kurtz tells Willard: “It’s impossible for words to describe what is necessary to those who do not know what horror means. Horror. Horror has a face…And you must make a friend of horror. Horror and moral terror are your friends. If they are not then they are enemies to be feared”. Then Kurtz tells Willard how he, when he was still with the Special Forces, entered a village to vaccinate local children against polio. After Kurtz and his men had left an old man from the village followed them. He was crying and could not utter a word. Kurtz and his men subsequently returned to the village to find that the enemy had infiltrated the village right after they had left and had cut off the arms of the vaccinated children and put these on a stack. There they were in a pile…A pile of little arms. And I remember…I…I…I cried…I wept like some grandmother. I wanted to tear my teeth out. I didn’t know what I wanted to do. And I want to remember it. I never want to forget it. I never want to forget. And then I realized…like I was shot…Like I was shot with a diamond…a diamond bullet right through my forehead…And I thought: My God…the genius of that. The genius. The will to do that. Perfect, genuine, complete, crystalline, pure. And then I realized they were stronger than we. Because they could stand that these were not monsters…These were men…trained cadres…these men who fought with their hearts, who had families, who had children, who were filled with love…but they had the strength…the strength…to do that. If I had ten Divisions of those men our troubles here would be over very quickly. You have to have men who are moral…and at the same time who are able to utilize their primordial instincts to kill without feeling…without passion… without judgment…without judgment. Because it’s judgment that defeats us. Here we reach the essence of the story, as I will point out in the next section. Listening to Kurtz, Willard comments: “He waited for me to take away his pain. He wanted to die a soldier”. Willard then kills Kurtz whose last words are, identical to Kurtz’s in Heart of Darkness, “The horror, the horror”. Both the novel and the movie describe Kurtz’s efforts to disengage or, if you like, surpass moral judgment. Both make clear what the consequences may be: inner battle and a tormented soul. Yet, the question is whether all forms of moral disengagement have this horrifying effect? Isn’t Colonel Kurtz at least to some extent right in assuming that moral judgment renders us powerless? Aren’t we better off without moral judgment? In order to answer these questions, first the question of what moral judgment is and how it works needs to be addressed, which brings me to Hannah Arendt, who has written extensively on moral judgment. Arendt is intrigued by the fact that some people are capable of adequately making a moral judgment whilst others seem to lose this ability by the influence of persons surrounding them. The question Arendt asks with regard to the period before and during World War 2 is the question how it is possible that some people continued to resist ruling Nazi morality and thus refused to collaborate. How did they persist in swimming against the tide? Arendt’s answer is simple: because they didn’t stop thinking, which means, according to Arendt, that they continued to ask themselves the question to what extent they could live in peace with themselves after having performed certain acts. Here Arendt refers to man’s capability of self-reflection, or, after Plato and Socrates, “the silent dialogue between me and myself” (Arendt 2004, 72). In Plato’s texts Socrates refers to this dialogue as ‘dialegesthai’, which means: ‘discuss profoundly’, not with someone else but with oneself. This does not mean that one should ask oneself rhetorical questions, moreover ‘dialegesthai’ concerns the ability to actually have a dialogue with oneself. This leads to self-knowledge which in turn is the foundation of making a proper judgment. As for the people who refused to collaborate with the Nazis, their judgment was: “I cannot do this”. Arendt specifically remarks that this does not mean ‘I am not allowed to do this’; it is not an external authority imposing itself. On the contrary, it is me; I myself find it impossible do this. Or as Arendt puts it: “I cannot do it (…) for life wouldn’t be worth living if I had done this” (Arendt 2004, 254). The process of thinking is thus a profound and honest dialogue with ‘the self’, which automatically may imply instances of insecurity and doubt. These are, however, not necessarily problematic; on the contrary, they can be constructive. Arendt considers doubters and sceptics more trustworthy than people who never have any doubts, for doubters and sceptics are used to investigating thoroughly and thinking independently (Ibid., 72). In brief, the ability of self-dialogue is a precondition for the ability to think which in turn is a precondition to judge. In her text “Some Problems from Moral Philosophy (Arendt 2004, 112-113) Arendt points out that self dialogue is a precondition for character building and integrity. Conversely, the inability of self-dialogue leads to the inability to think, which in turn leads to the inability to make an adequate judgment. When this is the case there can be neither character building nor integrity. One significant aspect of the ability to think is, however, still left unspoken. It is the fact that even though thinking implies self-dialogue it does not imply that the focus should be exclusively on the self. According to Arendt, quite the opposite is true; in Between Past and Future Arendt claims that adequate judgment also requires “das erweiterte denken” (extended thinking) (Ibid., 139), a Kantian concept taken from Kritik der Urteilskraft. Arendt matches this concept “erweiterte denken” to another Kantian concept, i.e. ‘sensus communis logicus’ signifying as much as common sense and common sense shared with others. According to Kant the ‘sensus communis logicus’ enables the formation of a community for it makes it possible to communicate with others about the things we observe. However, ‘sensus communis logicus’ as such is not sufficient to communicate; it also requires another ability: imagination, or representation, as this creates an image in someone’s mind of something that is absent. This may even extend to other people’s minds; according to Kant, it is possible to think from another person’s perspective. Whereas Kant places the concepts ‘erweiterte denken’ and ‘sensus communuis logicus’ in an esthetical context, Arendt places them in an ethical context. Of course this raises a number of questions, which Arendt addresses. However, it would take it too far to elaborate on these questions in this article. What is important to note in the context of this article is the fact that human judgment not only is determined by what one observes but also by the ability to create an image of something one cannot observe directly. Arendt gives the example of looking at a house in a slum and attempting to form an image of what it would feel like to live there; by doing this, she tries to think from the perspective of an inhabitant of this slum. Another example is the text, Reflections on Little Rock in which Arendt discusses a photograph from an American newspaper. It is a picture of an African American girl returning home after her first day at one of the first integrated schools in which she is the only African American pupil. In the picture a crowd of journalists and children is chasing the girl. Throughout the text written on account of that picture, Arendt places herself in the position of the girl’s mother. Notably, the text can be seen as an attempt to think from the position of the other, in this case the mother. It is important to note that thinking from the perspective of the other does not imply thinking for the other, whilst one is actually taking a different perspective. A judgment increases in value when there is an increase in the number of perspectives the person making the judgment is able to include in his or her judgment. With reference to Nietzsche, whom Arendt also includes in her discussion of moral judgment, it may be stated that the recognition of ‘perspectivist thinking’ is crucial. Or in Nietzsche’s words “one has to look at things from a hundred eyes” and “the more eyes, the more complete the understanding of a case is” (Nietzsche 1988, 365). Clearly, thinking and judging belong together; they are interconnected. Thinking is, according to Arendt, the silent dialogue with oneself, in which the otherness in ones own identity can be realized and with that the conscience in our consciousness. Hence, judging is the realization of thinking. Consequently, thinking and judging are typically human activities. This means that with thinking and judging humanity is realized, whereas humanity disappears when people do not think nor judge. It is important here to realize that thinking precedes judging. If this is not the case, we are dealing with prejudice; the thinking process is skipped and the judgment is unfounded. With reference to Heidegger, Arendt maintains that judging is the manifestation of the wind of thought. According to Arendt this implies “the ability to tell right from wrong. And this may indeed prevent disasters, at least for the person in question, on those rare moments when it really matters” (Arendt 2004, 183). What is the relevance of Arendt’s insights with regard to the question raised on the basis of the discussion of Conrad’s novel Heart of Darkness and the motion picture Apocalypse Now? Are we better off without moral judgment? Arendt has pointed out that thinking and judging are inter-connected activities and that thinking implies self-dialogue in which the other and thus different perspectives are made present. Conversely, when thinking, and linked to it, judging are missing, this opens the way for the inhuman as well as the inhumane. Both the inhuman and the inhumane, Arendt explains, are often embraced by those who do not think; those who lack or ignore the ability of self-reflection and who are unable to put themselves in the position of the other. In brief, not being able to think adequately equals not being able to judge adequately. What does all this imply for Kurz? Why does Kurz try to rid himself of his moral judgment? In the novel, Kurz claims that moral judgment weakens, which ‘prima facie’ seems to have some truth in it. It seems to make powerless since it forces one to engage in self-dialogue in which the other is made present, which implies the inclusion of different perspectives, which in turn creates doubt. One starts to ask questions: ‘Should I really do this?’ or ‘What are the consequences of my decision; not only for me, but also to others?’ Notably, this doubt is constructive and necessary in order to have a proper thinking process and thus in order to be able to pass proper judgment. Thus, it is precisely this dialogue with ourselves in which the other is made present that makes us human, where refusing to enter this dialogue equals refusing to behave humanely. What consequences this may have, including the consequences for the person in question, is shown both in the novel Heart of Darkness and the motion picture Apocalypse Now. When Colonel Kurz states that horror should be a person’s best friend, he is actually trying to realize a state of inhumanity. Apparently, horror can only become a friend at the cost of losing one’s humanity and human dignity. Realizing this enables one to grasp the description of Kurz. Both in the novel and the movie he is described as someone who “had let go of the world”, who “was focused on himself with a horrifying intensity”, a person with a “broken soul”, and “a broken and torn personality”; someone, according to Captain Willard, who had even “broken with himself”. With reference to Arendt one might say that Kurz is an example of someone who has chosen no longer to engage in dialogue with himself nor with the other and who has subsequently lost contact with himself forever, which explains Kurz’s loneliness. Isn’t this indeed an example of true powerlessness: lacking the ability of being human? The foregoing sections aimed to elaboration on the statement of the need for moral professionalism and critical thinking, made in the introduction of this article. They illustrated that moral judgment can be seen as the “safe house of the humane” (cf. Melis 1995). For this reason the ability to make sound moral judgments plays a crucial role in developing moral professionalism. This, first of all, implies recognizing the moral dimension of a real life situation and the ability to make an adequate judgment about this situation. It subsequently implies the ability to communicate with others about the moral dimension and one’s judgment. It is adamant that in this communication, in which the aforementioned forms of dialogue are used, one is familiar with the discourse and other means ethics theories offer. For this may in many cases shed light on the questions or dilemmas at hand and may certainly contribute to a more reliable analysis. In addition, moral professionalism implies the ability and willingness to act and the willingness and ability to be held accountable for one’s actions. Finally, I would like to add the concept of ‘resilience’ to moral professionalism. Resilience, makes that military personnel are capable of acting responsibly and are also capable, from a moral point of view, of developing the toughness necessary to be able to recognize a difficult ethical issue and experience it as such. This implies being capable of giving the feelings of pain and possibly grief and guilt, that often accompany testing experiences, a place in one’s life without causing permanent emotional damage, so without having to follow the path that Colonel Kurz had to follow and thus losing one’s humanity. It is important to realize that the stimulation and development of moral professionalism is not a strictly individual matter; it is influenced both positively and negatively by organizational structure, organizational culture, and the technology used in and by the organization. The basis of moral professionalism, and the necessity thereof for soldiers of the twenty-first century and beyond is formed by the ability to think. As illustrated in the sections above, thinking implies the ability of self-reflection and reflecting together with – and about – others. Thinking, first and foremost, comes down to thinking critically, which is the ‘conditio sine qua non’ of any moral judgment. As such it forms the core of moral professionalism, especially in the military where it sometimes seems to be the only guarantee to remain human in often inhuman conditions. Arendt, H. (1958), The Human Condition, University of Chicago Press, Chicago. Arendt, H. (1959), ‘Reflections on Little Rock’, in Dissent 6/1, (Winter 1959). Arendt, H. (1977), Eichmann in Jerusalem: A Report on the Banality of Evil, Penquin Books, New York (1963). Arendt, H. (1970), On Violence, Harcourt Brace & Company, New York. Arendt, H. (1977), Between Past and Future. Eight Exercises in Political Thought, Penguin Books, New York. Arendt, H. (1978), The Life of the Mind I en II, Harcourt Brace & Company, New York. Arendt, H. (2004), Verantwoordelijkheid en Oordeel, samengesteld en ingeleid door J. Kohn, vertaald door M. Stoltenkamp, Lemniscaat, Rotterdam. (Oorspronkelijke titel Responsibility and Judgment (2003). Baarda, Th.A.van en Verweij, D. (ed) (2006), ‘Military Ethics; The Dutch Approach. A Practical guide’ Martinus Nijhoff Publishers, Leiden/ Boston. Bandura, A. (1999), Moral Disengagement in the perpetration of inhumanities, in Personality and Social Psychology Review, 3(3), pp.193-209. Coker, Ch. (2008), Ethics and War in the 21st Century, Routledge, London and New York. Conrad, J. (1995), Heart of Darkness with The Congo Diary. Edited with an Introduction and Notes by Robert Hampson, Penguin Books, London. Conrad, J. (1990), Heart of Darkness and other tales, Edited with an Introduction and Notes by Cedric Watts. Gabriel, R. A. and Savage, P. L. (1978), Crisis in Command. Mismanagement in the Army, Hill and Wang, New York. Kant, I. (2003), Kritik der Urteilskraft. Mit einer Einleitung und Bibliographie, hrsg. von H. F. Klemme, Felix Meiner Verlag, Hamburg. Melis, K. (1995), Bewaarplaatsen van het humane: essays over menselijke waardigheid, Kok Agora, Kampen. Nietzsche, F. (1988) Friedrich Nietzsche, Sämtliche Werke, Kritische Studienausgabe in 15 Banden, Band 5, Hrsg. von G.Colli und M. Montinari, De Gruyter, Berlin/New York. Nussbaum, M. C. (1990), Love’s Knowledge. Essays on Philosophy and Literature, Oxford University Press. Nussbaum, M. C. (1998), Wat Liefde weet. Emoties en moreel oordelen, Inleiding, tekstintroducties en samenstelling M.Boenink, Boom/Parresia, Amsterdam. Ricoeur, P. (1965), De l’interpretation.Essai sur Freud, Paris. Ricoeur, P. (1986), ‘Life: A story in Search of a Narrator’, in: M. C. Doeser and J. N. Kraay (eds.) (1986), Facts and Values, Nijhoff, Dordrecht. Forces’, in Journal of Military Ethics volume 6, issue 1, pp 19-40. Verweij, D. (2010), ‘Geweten Onder Schot. Ethiek en de Militaire Praktijk, Boom, Amsterdam (Translation: Conscience Under Fire. Ethics and Military Practice). Widdershoven, G.A.M. en Boer, Th.de (red.) (1990), Hermeneutiek in discussie, Eburon, Delft. Wils, J. P. (red.) (1999), Ethiek en hermeneutiek, Damon, Leende. Wortel, E. en Verweij, D, (2008), ‘Inquiry, Criticism and Reasonableness: Socratic Dialogue as a Research Method?’, in Practical Philosophy, Volume 9, no 2, pp 54 -73. 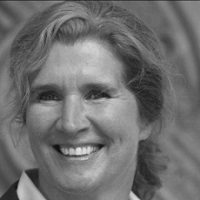 Dr. Desiree Verweij is Professor of Military Ethics at Netherlands Defence Academy in Breda. Her research includes both philosophical themes and topics in the field of basic and applied ethics, particularly ethics of military practice.